TorGuard VPN was recently rated the #1 fastest VPN by PCMag–but do you think we were satisfied with those results? No, we believe there are always ways to improve. Thanks to feedback from our customers we have prioritized a major upgrade to our 10Gbps VPN servers. We have just completed deployment of our NEW Seattle, LA, Chicago, and Dallas 10Gbps VPN add-on feature. This means that users with extra fast internet connections will now get even more speed out of TorGuard VPN. We know that speed is one of the most important aspects of a VPN service. If you’re paying good money to an ISP for fast speeds and your VPN is slow, you won’t use it. That’s why TorGuard is committed to providing the best possible performance on our network to make streaming times, browsing speeds, and gaming sessions even better. TorGuard VPN’s fast speeds makes us one of the top contenders if you want to torrent, stream, or even just browse the internet privately. 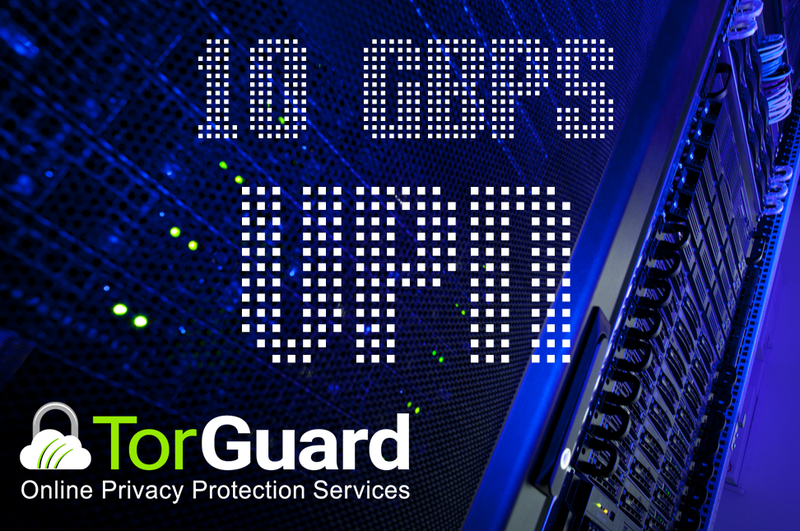 These new 10Gbps VPN servers continue to widen the gap between TorGuard and the rest of the market. From user feedback so far, clients are reporting these servers to be blazing fast. Go ahead, give TorGuard VPN a spin, and say hello to REAL speed and rock solid stability.